Home » Pictures » Soyeon » T-Ara » How will T-ara's SoYeon look like if she goes for a short blonde hair? 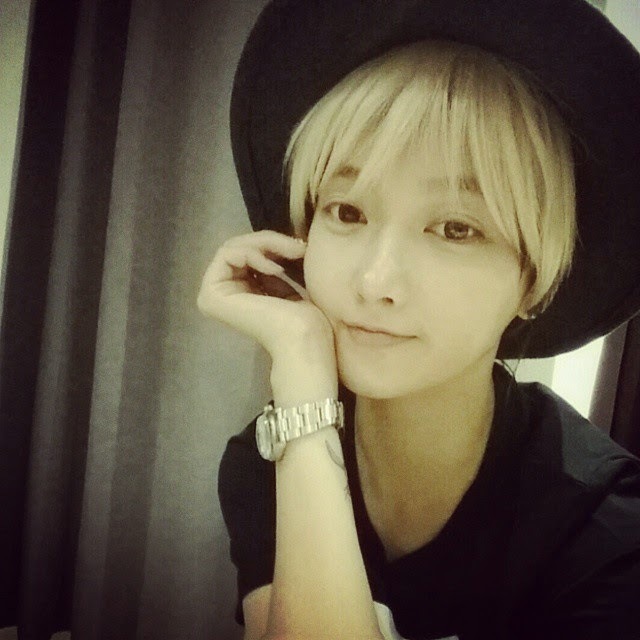 How will T-ara's SoYeon look like if she goes for a short blonde hair? So how will T-ara's SoYeon look like if she goes for a short blonde hair? The answer is here! Check out Soyeon's adorable picture below where she revealed, "A haircut and color that I've never tried before I really should never do it!! I had a blonde bangs wig so I just thoughtlessly put it on to try it and then..". What do you guys think, what's the best hairstyle for Soyeon?